En option, le système visuel collimaté CAE Tropos™6000XR et un poste de l'instructeur entièrement fermé. En option, le système visuel collimaté CAE Tropos™6000XR et un poste de l'instructeur entièrement fermé. Vue éclatée à des fins d'illustration uniquement. 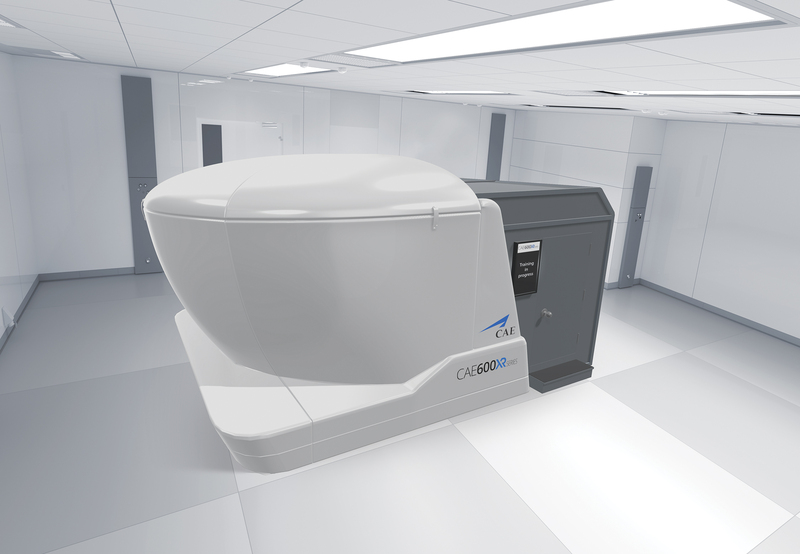 CAE announced today at the 2018 World Aviation Training Symposium (WATS) the launch of the CAE 600XR Series flight training device (FTD), the latest addition to CAE’s innovative XR Series training equipment suite. The CAE 600XR Series, CAE’s latest generation of FTDs, provides the highest training fidelity in today’s fixed-based training market and sets new standards for initial and recurrent pilot training. Featuring a representative flight deck surround with crew seats and fully tactile cockpit with exact panel positioning, the CAE 600XR leverages the proven simulation fidelity, instructor interface, lesson and flight planning capabilities of the CAE 7000XR Series full-flight simulator (FFS). An optional package including the CAE Tropos™ 6000XR collimated visual system and a fully enclosed instructor area is also being offered. This package, in addition to the baseline CAE 600XR offering, meets and exceeds ICAO Type 4, FAA Part 60 Level 6 FTD and EASA II FTD qualification requirements. The complete CAE XR Series training equipment suite – from CAE SimfinityXR Series ground school training solutions to CAE XR Series flight training devices and CAE 7000XR Series full-flight simulators – covers all training phases, offering airlines flexible training solutions for the most effective training delivery. Click here for the brochure.